Smart ghouls rule! But using your intelligence doesn’t mean you have to lose your sense of style! Abbey Bominable, Frankie Stein and Howleen Wolf have decided to embrace their “inner geeks” in the most fashionable way possible! 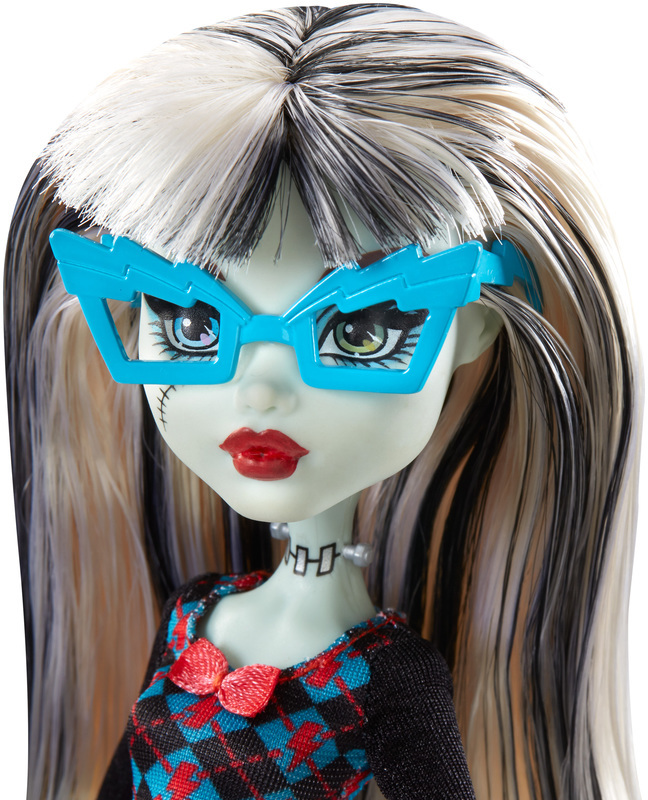 Each (sold separately) looks fangtastic wearing a “geek shriek” fashion complete with eyeglasses that match the character’s monster style. Frankie Stein, daughter of Frankenstein, looks voltageous in a dress with her signature plaid and a red bow; blue lightning bolt-decorated shoes and matching lightning bolt eyeglasses are electrifying. 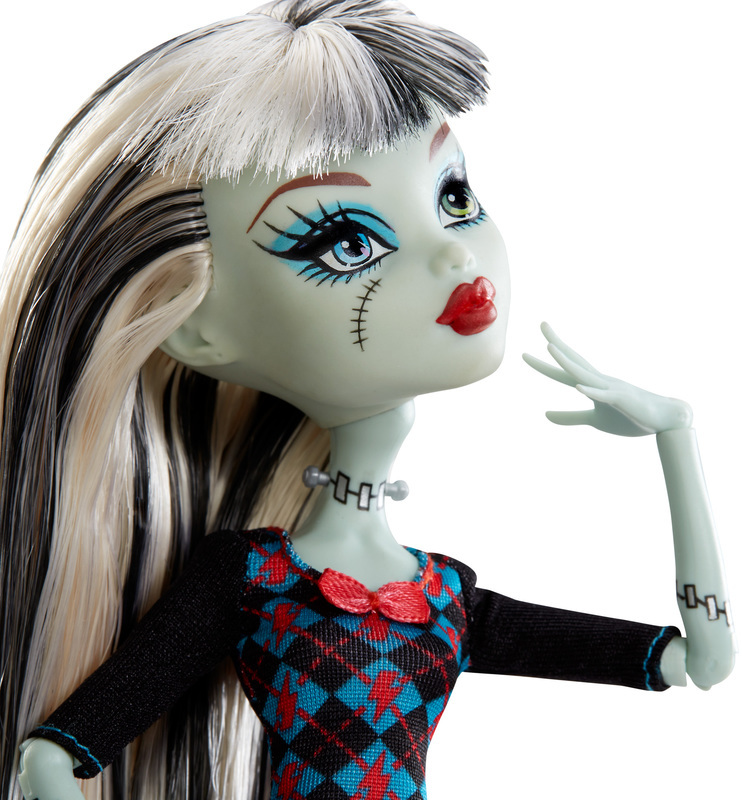 Girls will love making smart moves with these freaky stylish dolls. Collect them all to expand the play and display possibilities. Includes doll wearing fashion and accessories. Each sold separately. Colors and decorations may vary. Doll cannot stand alone. Ages 6 and older.